The account’s first tweet, thanking Pakistan’s Prime Minister, has received over 3000 retweets and 19000 likes. 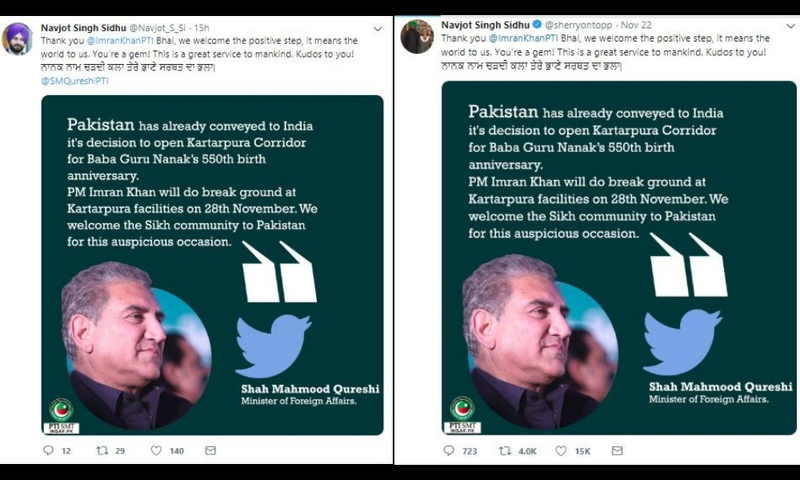 A tweet by a fake account of Punjab minister Navjot Singh Sidhu (@Navjot_S_Si) thanking the Pakistan Prime Minister Imran Khan for opening the Kartarpur corridor has created a stir on Twitter. The tweet has received over 3000 retweets and 19000 likes, quite unusual for the first tweet itself. Along with thanking Khan for the invitation, it also thanks Pakistan on behalf of all the Sikh community and calls Pakistan his second home. Click here for the archived version of the tweet. While very few Twitter users pointed out that the account is fake, others have tweeted welcoming him to Pakistan or criticizing him for accepting the invitation. The Twitter bio shows that the account was created in October 2018 and the description says, ‘I Love India’. An analysis of the account on Twitter analytical tool Tweetbeaver shows that it was set up on October 24, 2018. The account has gained over 2,500 followers while it has only tweeted 9 times, mostly on the opening of the Kartarpur corridor. 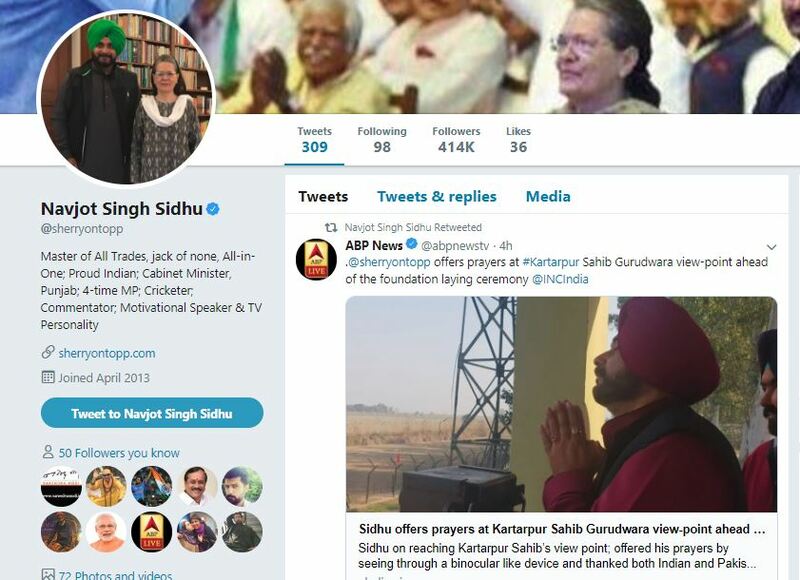 The account has also picked a tweet from Sidhu’s original account @sherryontopp on November 22, 2018. In the tweet he thanked the Pakistan Prime Minister and referred to him as a ‘gem’ and the opening of the corridor as a ‘great service to mankind’. Click here and here for the links to the tweets. Sidhu’s original account @sherryontopp is a verified account created in April 2013 and has around 4 lakh followers. 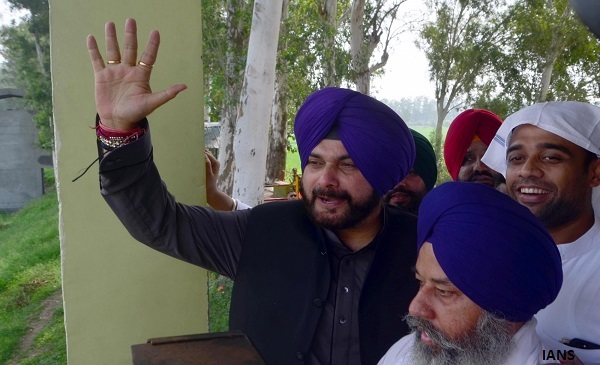 What was Sidhu’s reaction to the opening of the Kartarpur corridor? Navjot Singh Sidhu – a cabinet minister in the Punjab government, who has been advocating for the corridor welcomed the centre’s decision to construct it. After the Ministry of External Affairs communicated its decision to the Pakistan government on November 23, 2018, the former reciprocated by declaring to open the Kartarpur Corridor on Guru Nanak’s 550th birth anniversary. Sidhu also thanked the Pakistan Prime Minister in his tweets. Responding to an invitation by the Pakistan Foreign Minister, Sidhu stated that his application has already been submitted to the Ministry of External Affairs. While Sidhu accepted the invitation, Punjab Chief Minister Captain Amarinder Singh declined the invite citing the continuing killings of Indian soldiers and terror attacks by Pakistan. He however, called the ground breaking ceremony a ‘historic occasion’. When asked about Sidhu having accepted the invite Singh said, ‘it is his way of thinking’ and that he could not do it when Indian soldiers are being killed. The Kartarpur corridor will enable visa-free access for Sikh pilgrims to the historic Gurdwara Darbar Sahib Kartarpur located on the banks of Ravi River in Pakistan. This is the place were Guru Nanak is said to have spent the last years of his life before his death in 1539. The gurudwara is located in Narowal district of Pakistan, 120 kms from Lahore. The corridor will connect the Dera Baba Nanak in Gurdaspur, Punjab to the Gurudwara Darbar Sahib Kartarpur in Pakistan. The corridor will be about 4 kms with the Indian side of the corridor extending up to the Indo-Pakistan border from the Dera Baba Nanak Gurudwara in Gurudaspur. The corridor was a long-standing demand of the Sikh community in India and was first proposed in 1999 on former Prime Minister Atal Bihari Vajpayee’s visit to Lahore. On November 26, 2018, Vice President Venkaiah Naidu laid the foundation for the Indian side of the corridor. 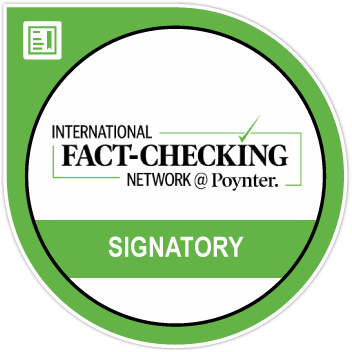 Editor’s Note: A previous version of the story had incorrectly stated that the fake account was created two days ago. We regret the error.